We went to the park the other day, right before a Boy Scout meeting. They got a little ahead of me – and when I caught up to them – they were halfway up this “mountain”. There was an older couple that stopped to watch the kids playing. The man thought the kids were hilarious and he kept laughing… the woman, on the other hand, kept giving me dirty looks of disapproval. She was so disgusted with my children and I that she huffed away, leaving the man behind (who, by the way, stayed until after the children rolled down the hill and then gave the kids a round of applause). I was surprised by the diverse reactions of these two people. I felt the woman judged me quite harshly as I was only allowing my children the freedom to play and explore a hillside… they even had helmets on! By the time they all had finished rolling down the hill, all four children were filthy!! and Simone had a giant hole in the back of her jeans!! And Eddie had a great time at the Boy Scout Meeting where became an official Scout! 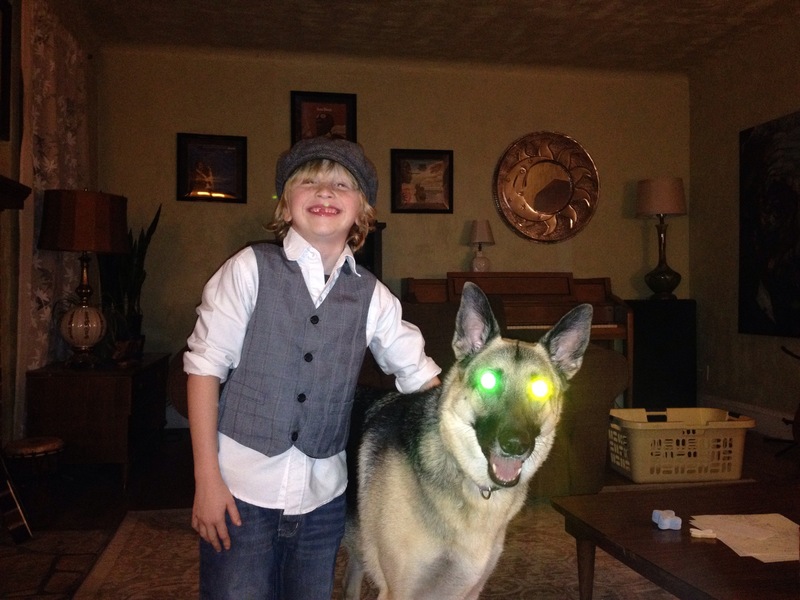 I couldn’t resist posting this handsome picture of my three boys as part of my Vintage Fashion Series! 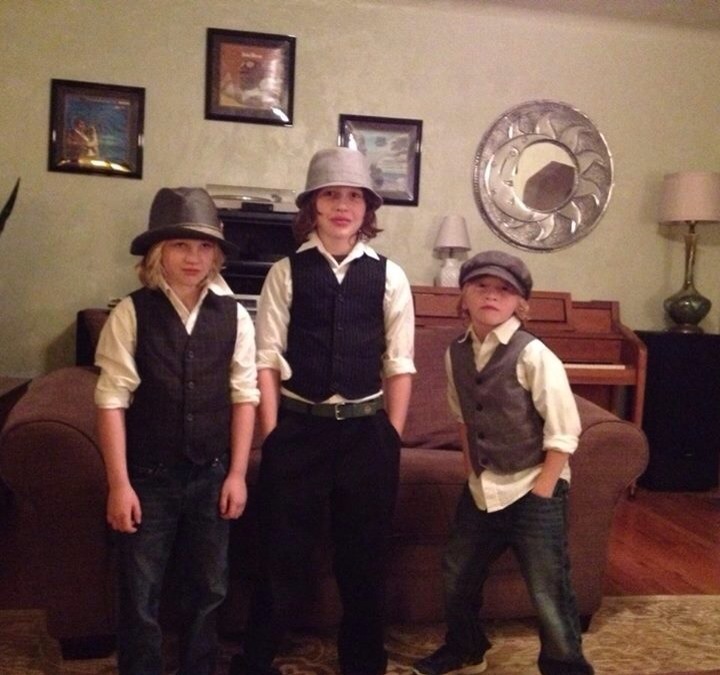 They are actually dressed as magicians but they look like little vintage gangsters! 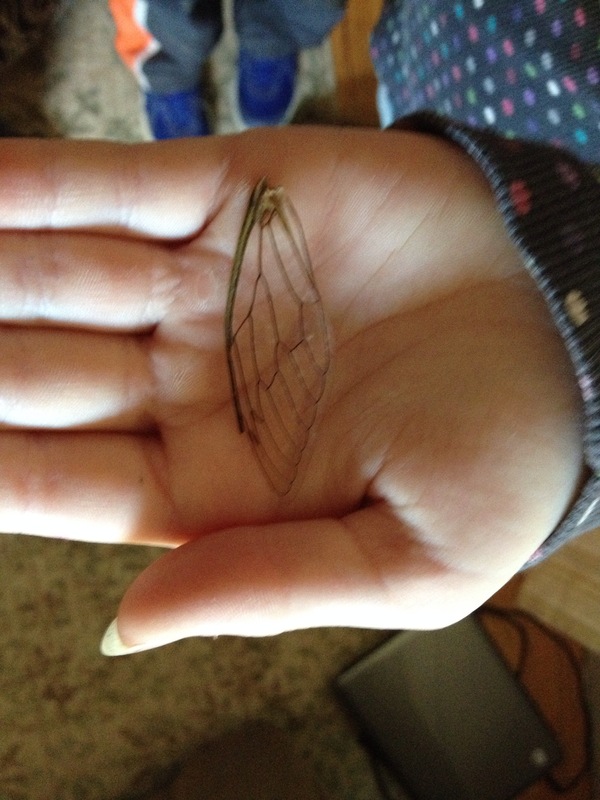 Simone just came running into the house to show me that she found a FAIRY WING! 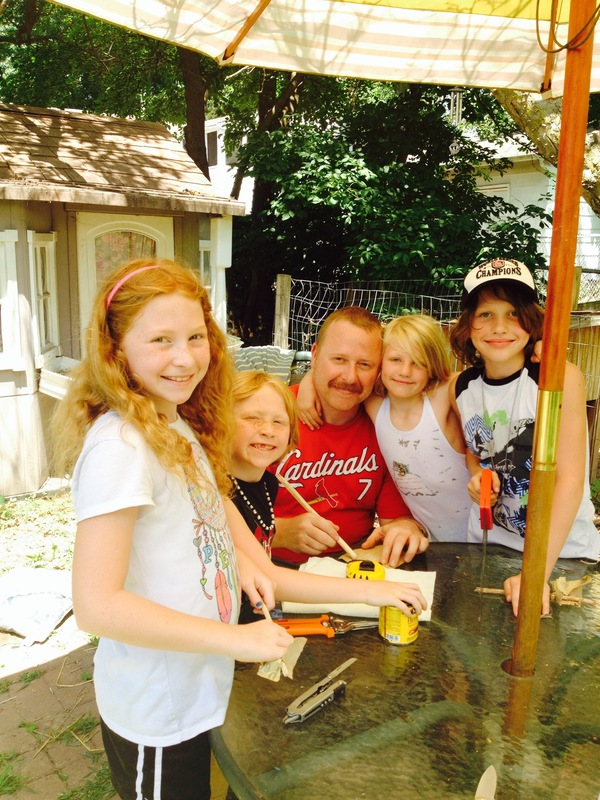 Simone woke up late this morning….. And was quite jealous that the boys had already played a video game with their father. 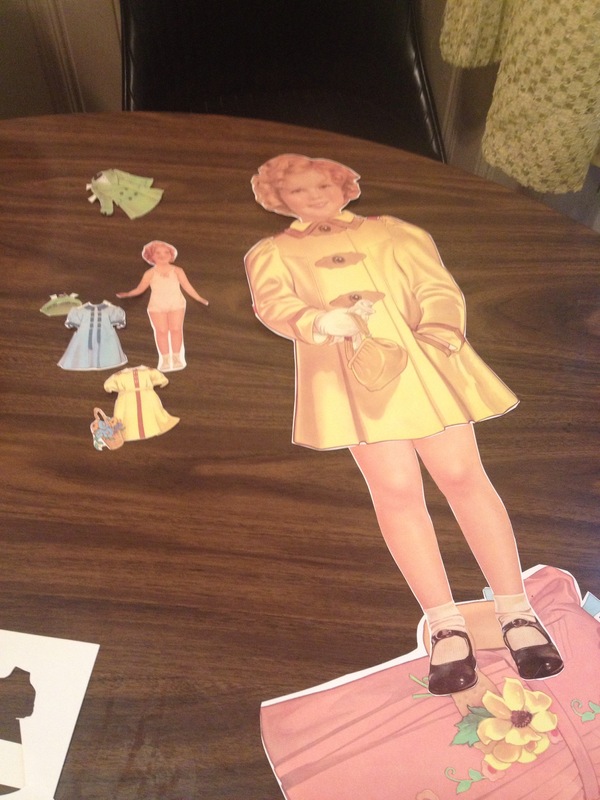 I figured I should pull out a mother-daughter activity…. And I had the perfect thing! 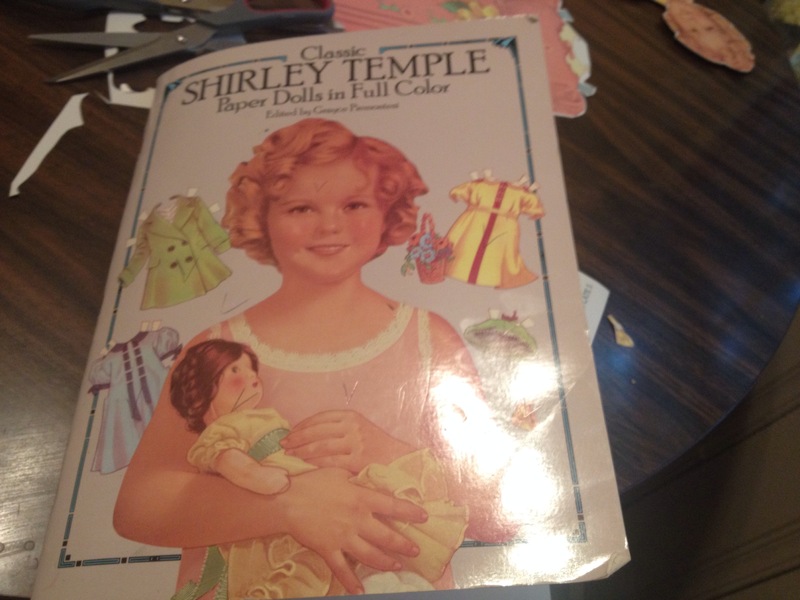 A book of Shirley Temple paper dolls and clothes! 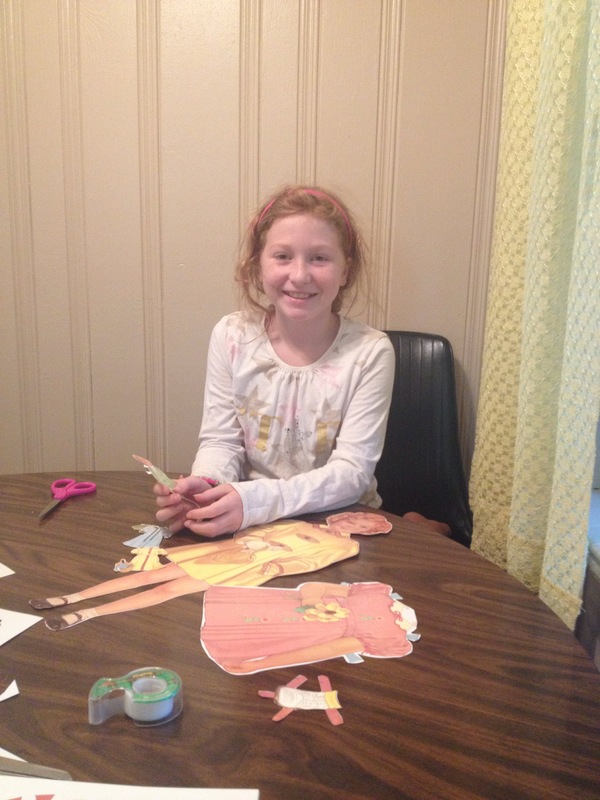 Simone was very excited about the paper dolls because Laura from Little House on the Prairie played with paper dolls too. 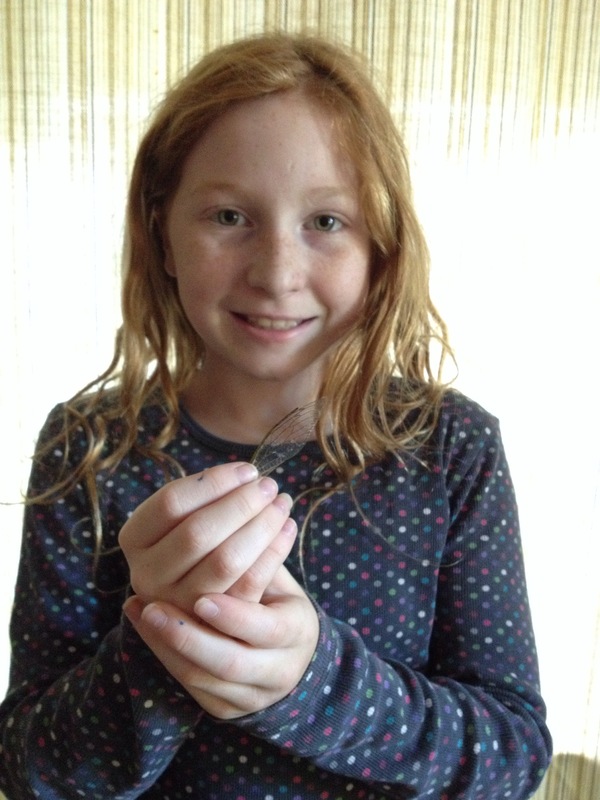 Since she is currently reading the Little House on The Prairie series, she has been working on a MineCraft world that involves all the places that Laura lived. 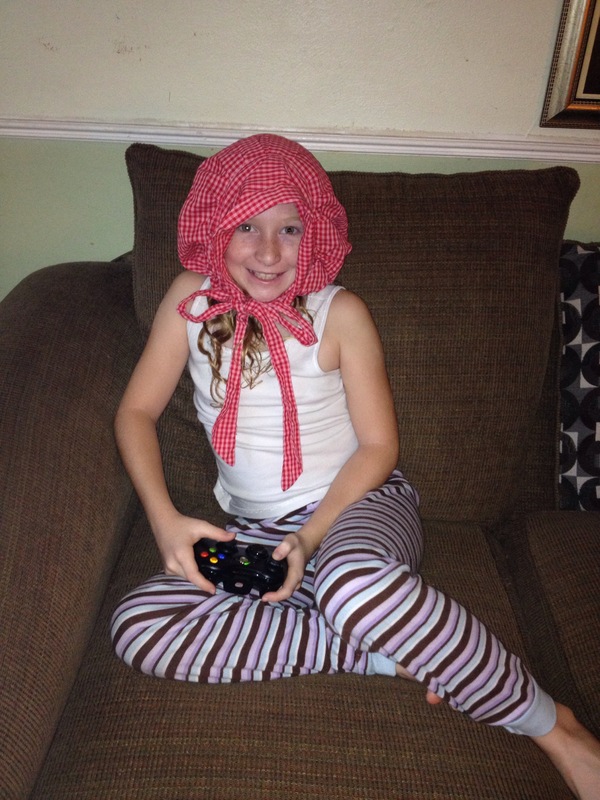 Simone was so excited to wear her hat as she played! 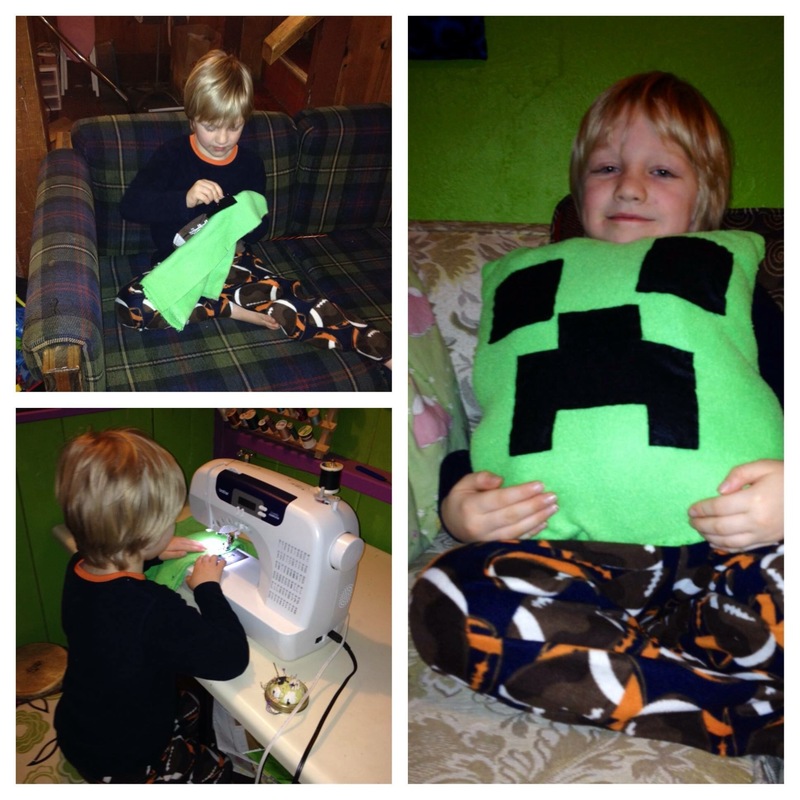 Minecraft is a favorite video game in our house and has been for years! I can’t play it or even watch the screen for long because it makes me dizzy, but I do like that all the kids can play it at once! 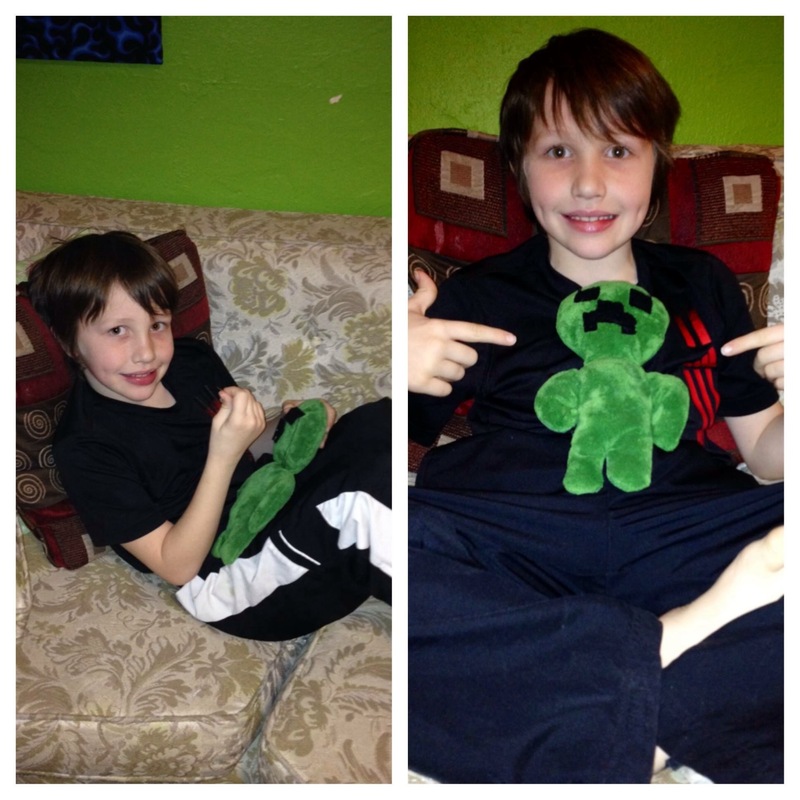 Ta-Da the creeper doll is finished!! 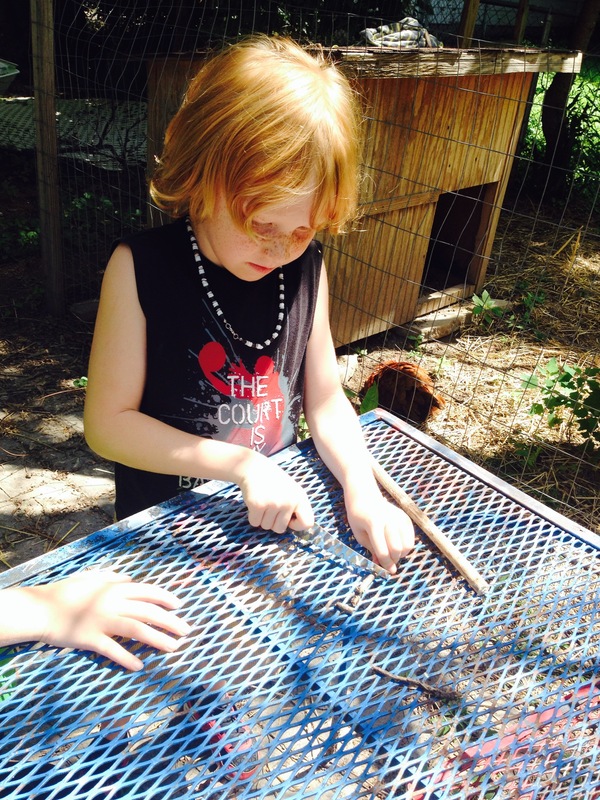 Give as a gift or keep and play with! 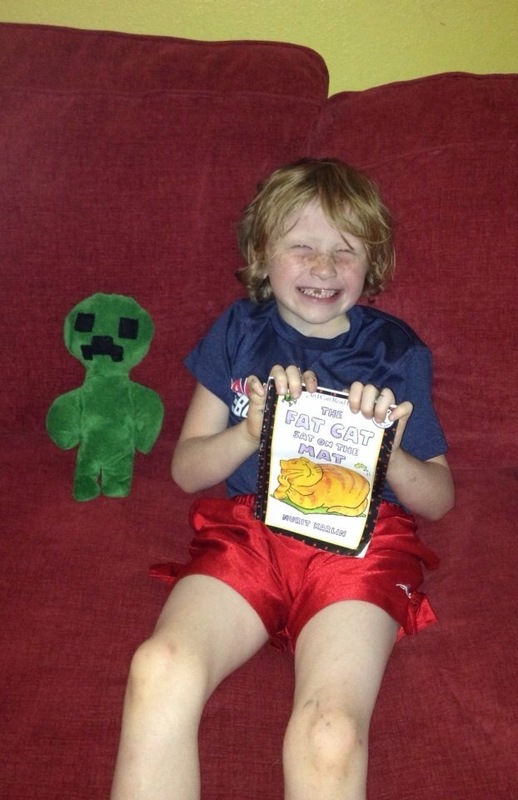 The creeper doll makes a great reading buddy! Always be sitting when you open a knife. Always close the knife before you stand up. 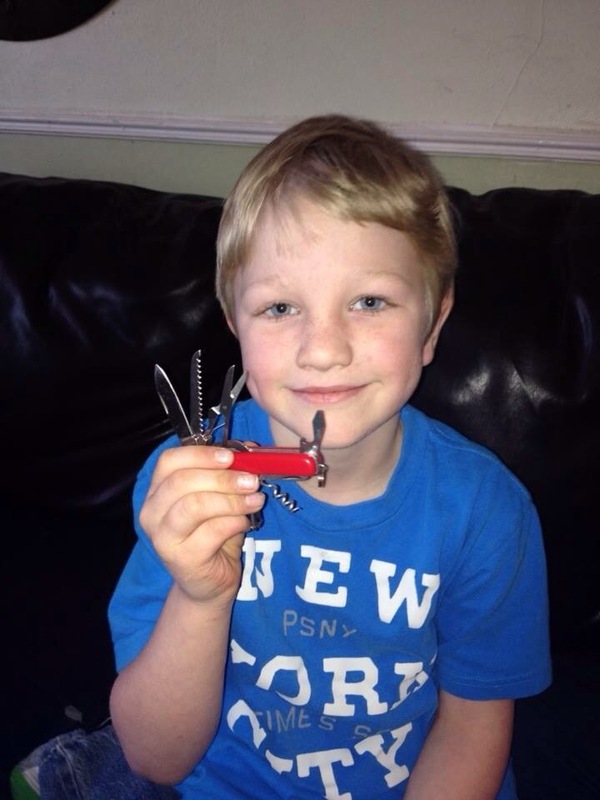 Last year, knives were given as birthday presents. 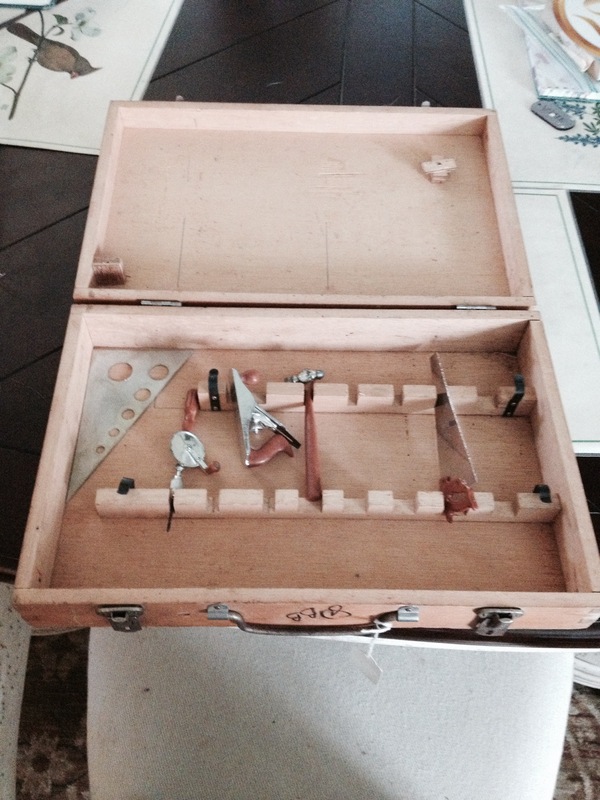 They are also cheap treasures found at Flea Markets and Antique Malls. 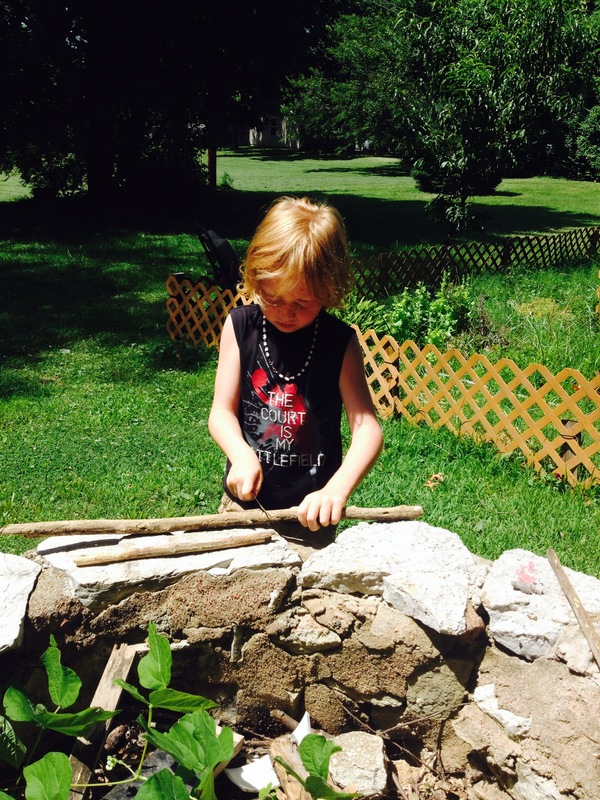 Now, I admit sometimes I get nervous when my littlest has a knife- or any tool for that matter. Last year, he was satisfied with a used plastic stool set. 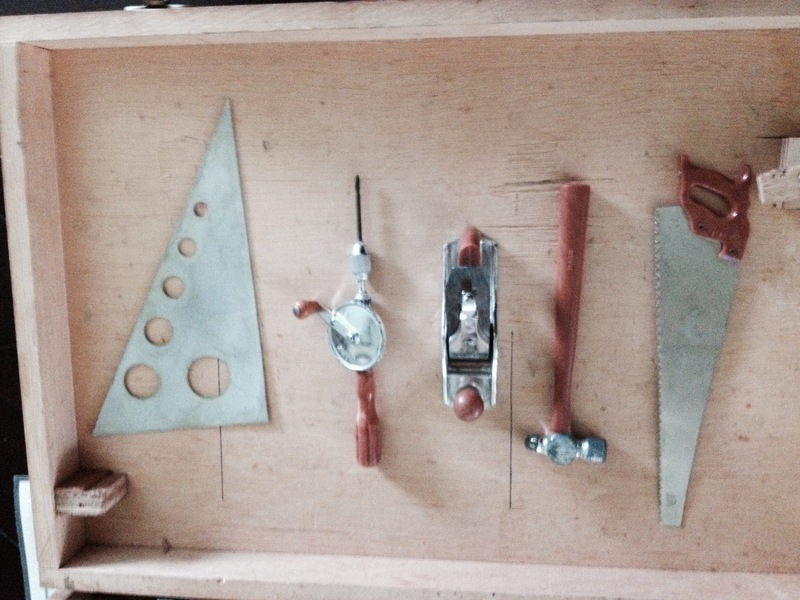 This year, however, we have been working on wood-working and tool using. 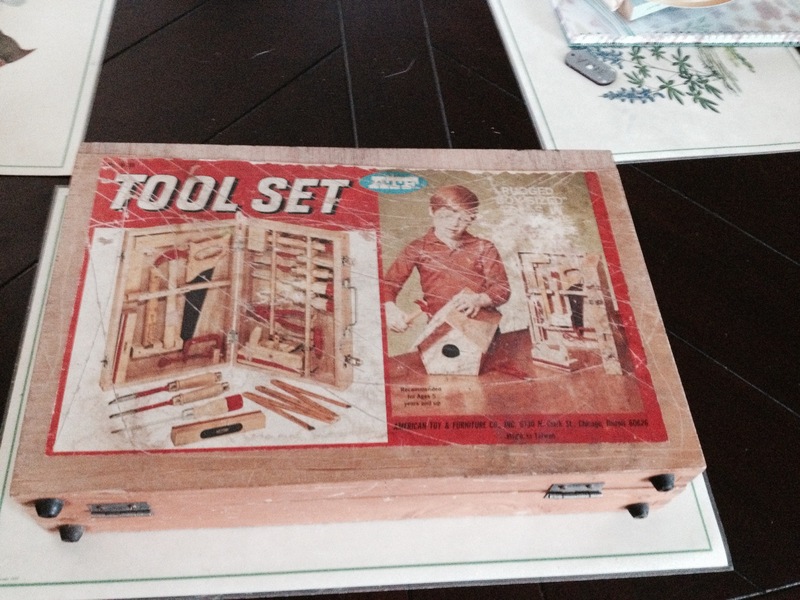 But when we got it home, we realized the tools were real, just mini-sized! 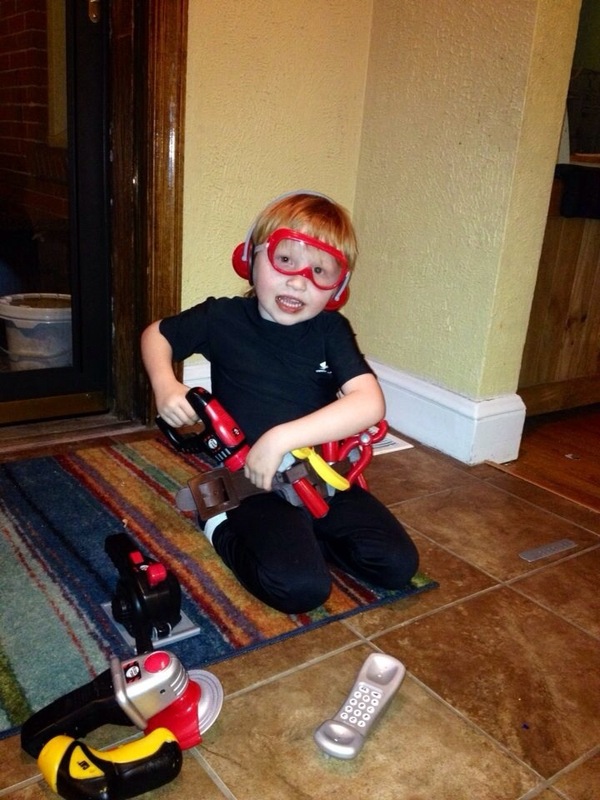 It is so nice for Eli to have child-sized tools that actually worked! !